I’ve used the central part of the painting by Michelangelo, Sistine Chapel Ceiling Adam and God. It’s when their fingers are about to touch. 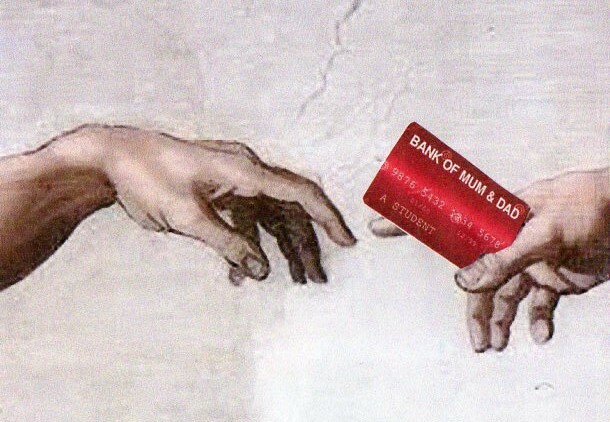 In my version, the “Dad” is giving a credit card to the “Child” or “Student”, from the “Bank of Mum & Dad”, thinking about our son when he was still a student. Love your take on this! I went the financial route as well. A wonderful assortment of banks! We have plenty of the snow variety right now!